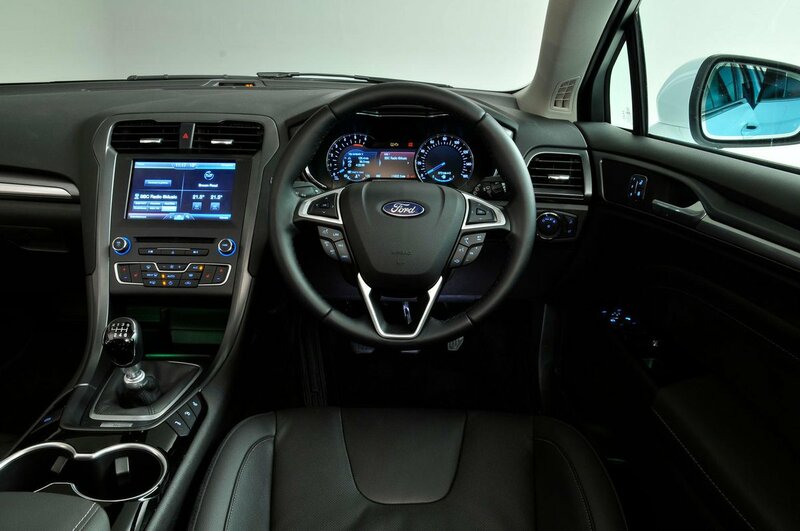 Ford Mondeo Estate Interior, Sat Nav, Dashboard | What Car? Three out of the four trims get manual seat adjustment and adjustable lumbar support, unless you add the Titanium X pack or specify the expensive Vignale model – these include 10-way electric driver’s seat adjustment. 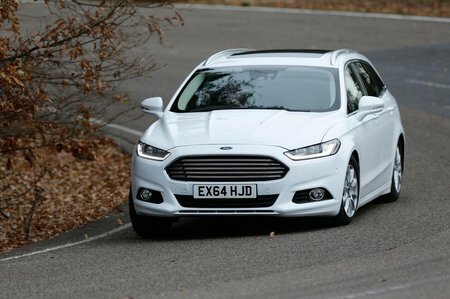 Having said that, the Mondeo’s manual seat adjustment is generally easy to use, even if we’d prefer a rotary-controlled back adjustment rather than the spring-loaded lever system that can make small adjustments tricky. Still, there’s a broad range of movement and the seat is wide and quite soft, and will be pretty comfy even on a long journeys – particularly in Titanium trim, which gets slightly more supportive sports seats. 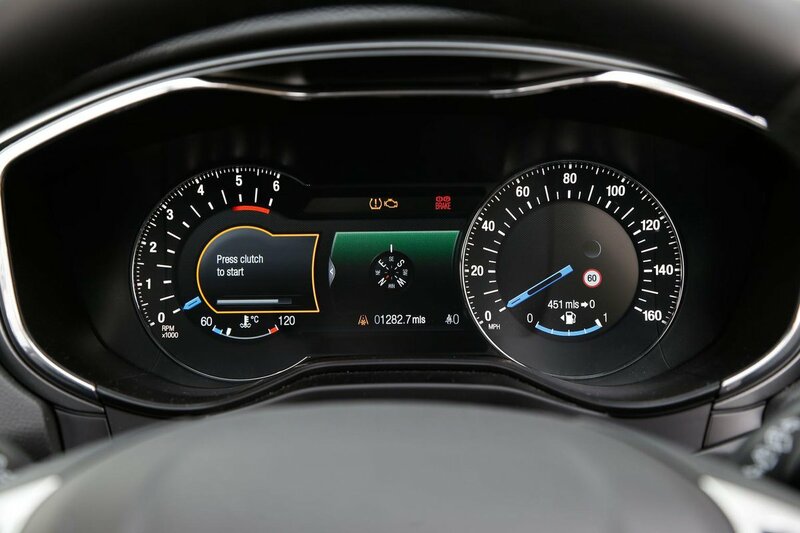 Most of the car’s systems are accessed either through the 8.0in colour touchscreen or through the menus in the driver’s readout, meaning the dashboard is left with a fairly sparse array of buttons, including the straightforward air-con switches, that are well-placed and easy to fathom. It’s just a shame that those screens, as your main interfaces for controlling everything but air-con temperature and fan speed, are quite fiddly and unintuitive. 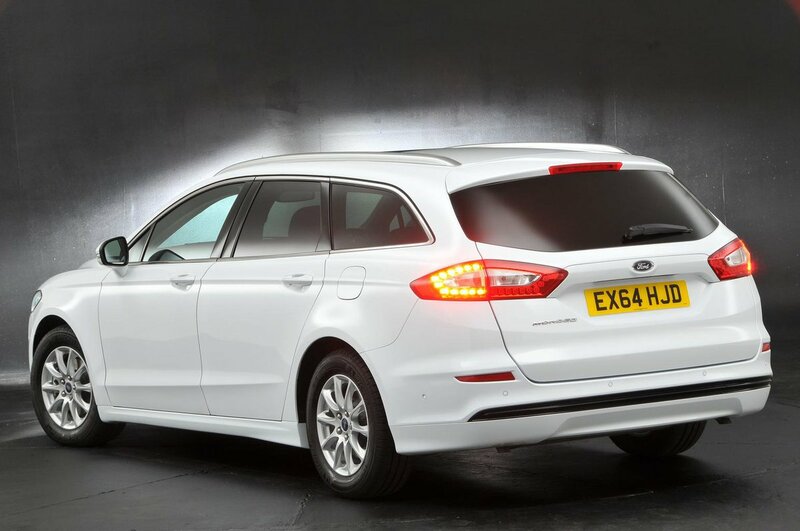 The Mondeo Estate’s chunky windscreen pillars can partially obscure your view at some junctions and the narrow rear windows can cause blindspots in the rear three-quarters. It’s also such a big car that it can be hard to judge the car’s extremities in tight parking spots. That said, most rivals suffer from similarly average visibility. Unfortunately, you only get all-round parking sensors on the expensive Vignale trim, while you have to pay a fair amount for front and rear sensors on other versions. If you do choose to have them, you may as well pay a little extra and get the full Active Park Assist, which adds an automatic parking system that steers the car into a parallel or perpendicular space for you. Blindspot monitoring and a rear-view camera are optional extras. A standard heated windscreen means you can clear the screen of ice and mist much faster than with the ventilation system. 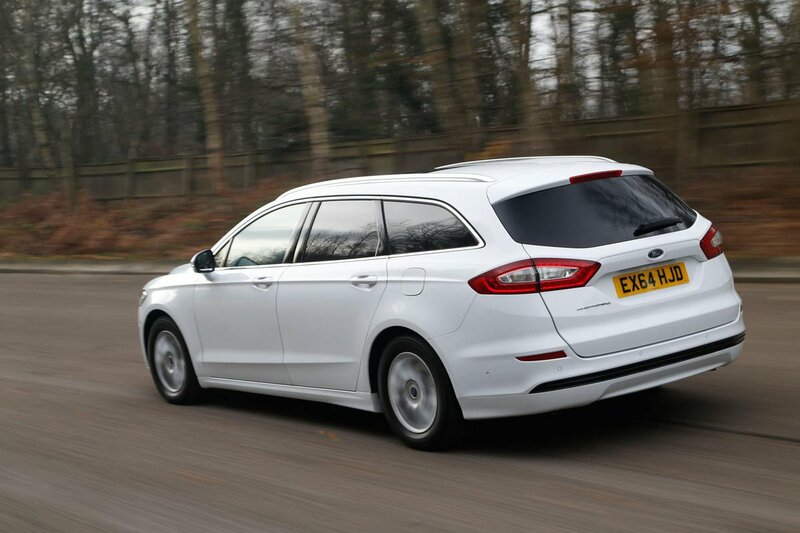 All Mondeo Estates get a DAB digital radio, voice control, Bluetooth and audio streaming, and an 8.0in touchscreen, which has decent graphics but can show up fingerprints quite badly – particularly in direct sunlight. The screen’s usability is more of a problem. While it’s easy to access certain functions from the home menu – which is split into four sections for quick access – from there you have plenty of small icons that are tricky to hit when you’re on the move, and it can be hard to figure out how to reach some simple functions. 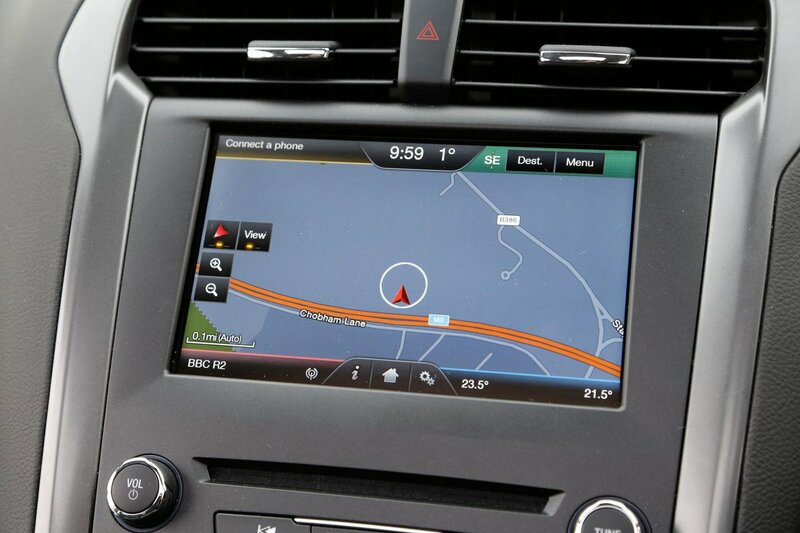 The standard sat-nav takes more prodding and navagating through sub-menus than you’d expect. Some may also find it frustrating that physical buttons exist below the screen for ventilation temperature and fan speed, but you have to use the touchscreen to divert the air flow. The voice control is activated by pushing a button on the steering wheel and is mostly effective, allowing you to select an artist from your USB-connected attached MP3 player and even change the climate control temperature. You can control just about every audio function from the standard multi-function steering wheel, but the number of buttons on the wheel can be a bit confusing. With two USB connections and two 12V sockets (one in the front and one in the back), charging shouldn’t be a problem. Although it doesn’t feel 'budget' by any stretch, there are some poorly damped switches and a few cheap-feeling materials, and touches such as the roughly trimmed boot carpet are obvious signs of cost-cutting. Even the matt-finish dash feels a little cheap next to the dense, textured materials you get in some rivals. That said, the general fit and finish feels solid, if not quite as precise or robust as the Skoda Superb Estate. While it lacks a really high-class feel, the minimalist dash layout and combination of gloss, matt and metal finishes around the interior do look reasonably smart and, at this price, it’s hard to be too critical.